There can be several variations in spelling of a word when it is transliterated from the Indian alphabets to the English alphabet. Of Desor and Dasaur, I have found that Desor is used much more often. I was once told that the Desor family history can be traced to a place in Rajasthan called "Garh Mukteshwar." "Garh" is a Hindi word which means "castle" or a fort of some kind. It is uncertain as of now if a town by the name of Garh Mukteshwar even exists in Rajasthan. 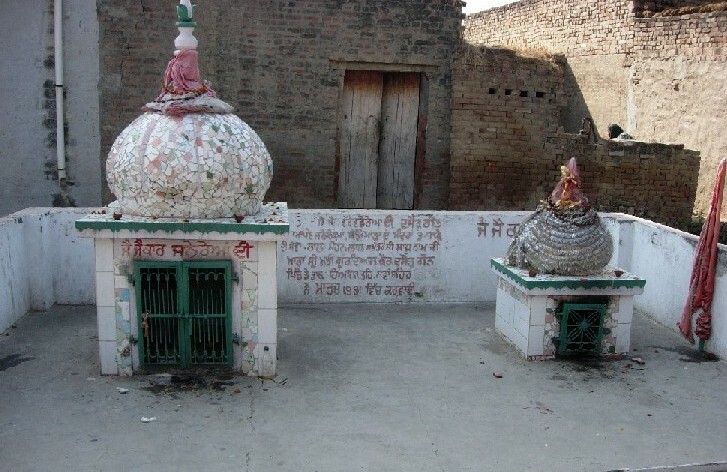 However, there is a town by the name of Garh Mukteshwar (or Garhmuktesar) in the state of Uttar Pradesh in District Ghaziabad and southwest of the city of Meerut. Mukteshwar is another name for Lord Shiva, and an annual festival is held there in his honor. From Garh Mukteshwar, some of the Desors may have migrated to Punjab a few centuries ago. A second theory has recently been sent to me by a Dasaur. 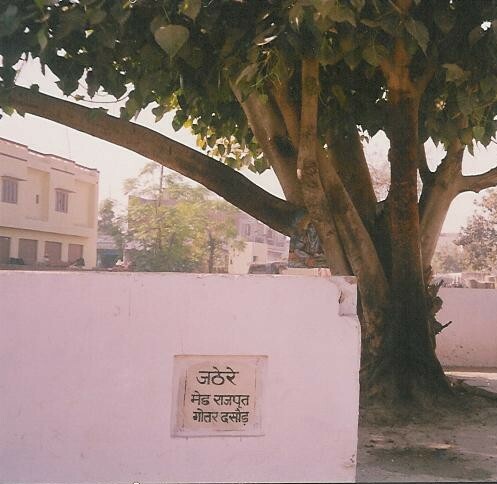 He says that his branch of Dasaurs traces its roots to a village called Garhdiwala, near Dasuya, in District Hoshiarpur (Punjab) and tells me that Dasaurs may have originated from this village. Either way, most of the Desor families that I have contacted trace their origins to villages located in a few particular districts of Punjab, India. 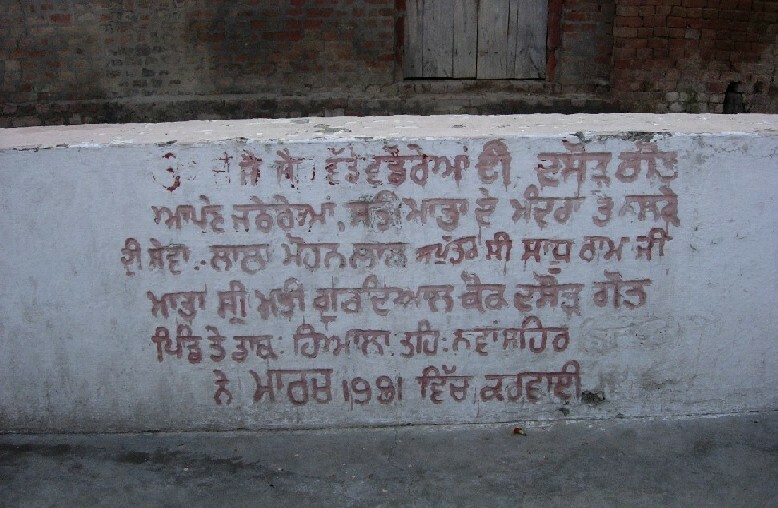 The villages in Jalandhar District are: Jandiala (Manjki), Banga, Maggowal, Kandhola, and Pattlava. A few Desor families also trace their origins to Hoshiarpur and Kapurthala Districts, which are adjacent to Jalandhar District. Thus, we can be fairly certain that the Punjabi Desors originally migrated from Rajasthan to the Jalandhar/Hoshiarpur/Kapurthala (Doaba) area of Punjab. 5. After taking left turn, again take a left turn after 15 km. This straight road goes to Mahalpur, which is famous for producing many renowned footballers (soccer players) and Olympians. 6. From this left turn the approximate distance to reach the Dasaur jatherai is about 3-4 km. A "model village" supported with NRI funds comes along the way. The road becomes narrow and is made of brick, eventually leading to the final destination. In 1998, I came to know that there is a German gentleman whose last name is also Desor. He has a theory that the Desors may have originated from France as Huguenot Protestants but due to persecution, emigrated to Rajasthan, India sometime around the 16th-17th centuries. He has traced Desors to various portions of the world. There are a few Desors of Asian Indian heritage who might be propagating this very shaky theory at the present moment. The theory is highly improbable and should be investigated objectively and thoroughly in India. To their credit, there is a large number of Desors to be found in Germany and in Europe overall. 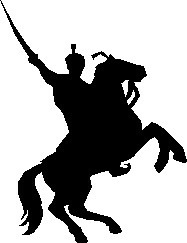 A variation of Desor, according to this theory, is Deshorts. However, it would be premature and inaccurate for us to spread this theory at the present time. I am skeptical regarding the theory of Desors being originally from France. I would need substantial proof to be convinced. Otherwise, this theory is very shaky and does not hold. Until further proof, we can assume that it is not true, and that Desors are originally from India and NOT from France or anywhere in Europe. If you have any further information regarding the above or Desors in general, please contact me! Only by SHARING information will Desors (and Mair Rajputs) find out their complete history. After all, the purpose of this web page is to share my information. I have traced back Desor origins about six generations based on my paternal history. The first name that I know of is Sardar Acchar Singh of the village Jandiala in Punjab in Jalandhar District. His son was Sardar Mangal Singh. His son, in turn, Sardar Hari Singh, migrated to the newly opened canal colony of Lyallpur (in present-day Pakistan) over 100 years ago. Hari Singh was my grandfather's grandfather. Currently, Desor families are known to live in the USA, UK, and throughout Punjab, India (but concentrated in the Doaba area). Again, more information would be appreciated on this goth as it is far from complete. E-mail Rajesh Verma (Desor) at: rverma2001@yahoo.com Go back to Mair Rajput Home Page � Copyright 1998-2010. All rights reserved. No portion of this website may be used without permission from the author.